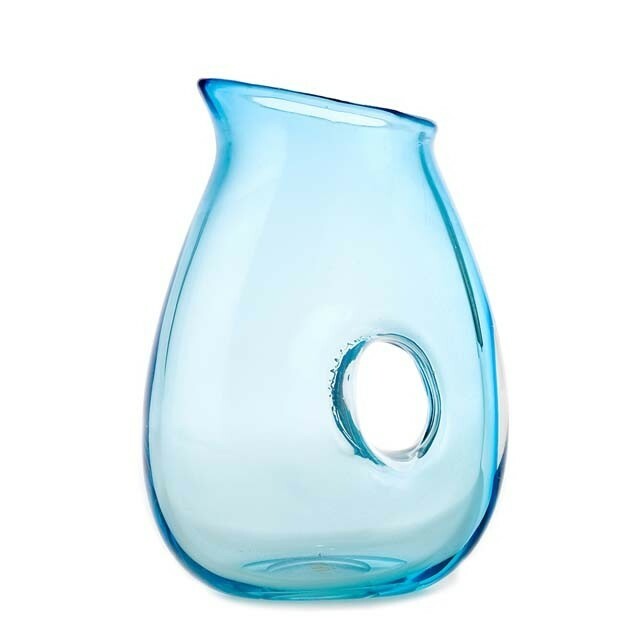 Pols Potten "Jug with hole"
The lightweight Jug with a hole from Pols Potten is made from mouth-blown clear or coloured glass. 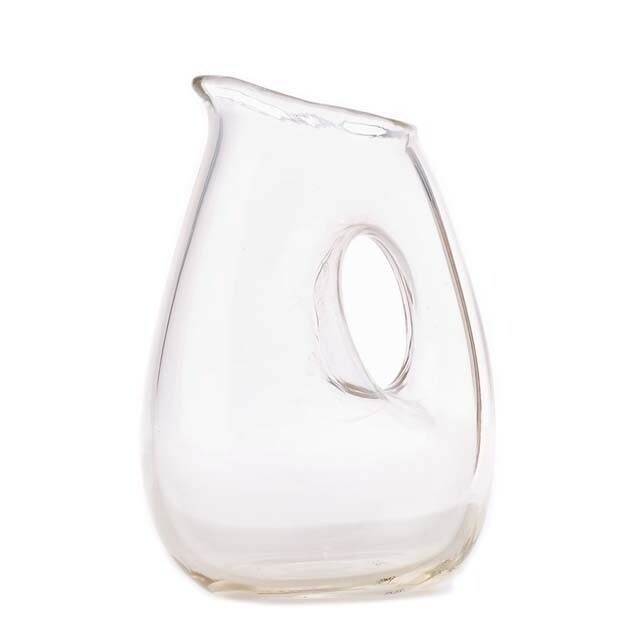 This hand-made glass water jug has a practical, artistic handle. 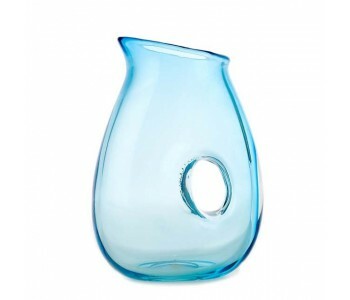 The jug is available in striking turquoise or red colours, or in clear transparent glass. 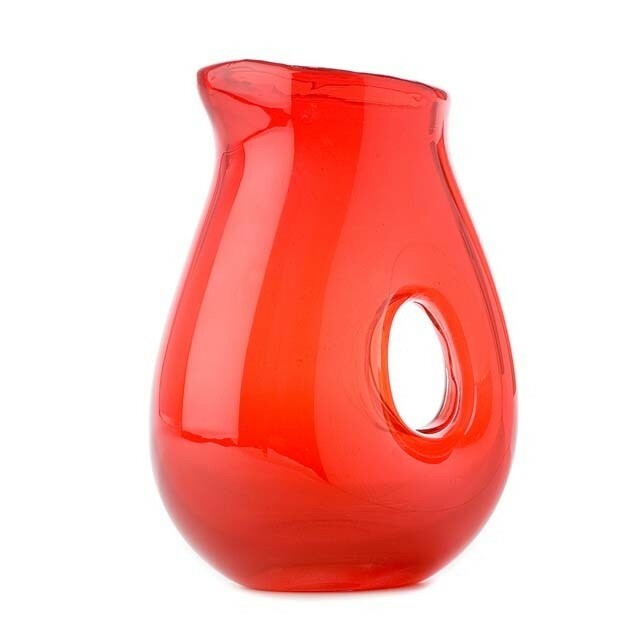 Liven up your table with one of these striking water jugs. Practical elegance was the key to the design of this jug. The handle was shaped with user-friendliness in mind, so you'll surely use the jug every day. The cleverly designed lip enables effortless pouring, without drips. The Jug with a hole is also dishwasher safe. 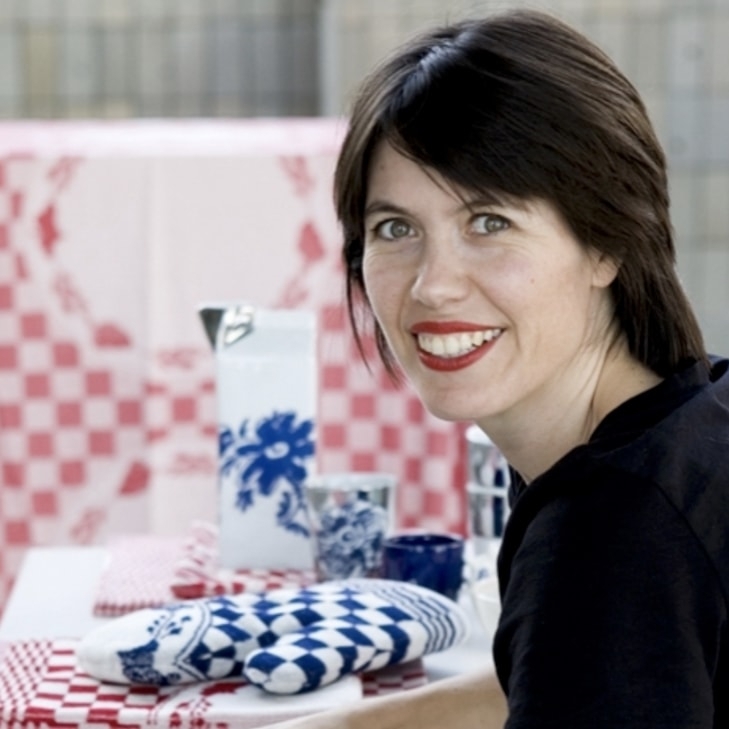 A table is never complete without a beautifully-designed jug or carafe of table water or wine. With the unusual Jug with hole jug from Pols Potten, any other form of table decoration is unnecessary.